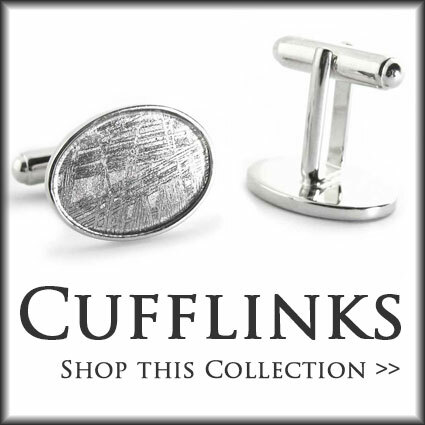 First discovered in Namibia, Africa in 1836, the Gibeon meteorites come from broken asteroid fragments. Dating studies have placed the age at around 4 billion years old. It is difficult to acquire new Gibeon meteorites because exports from Namibia are now illegal. 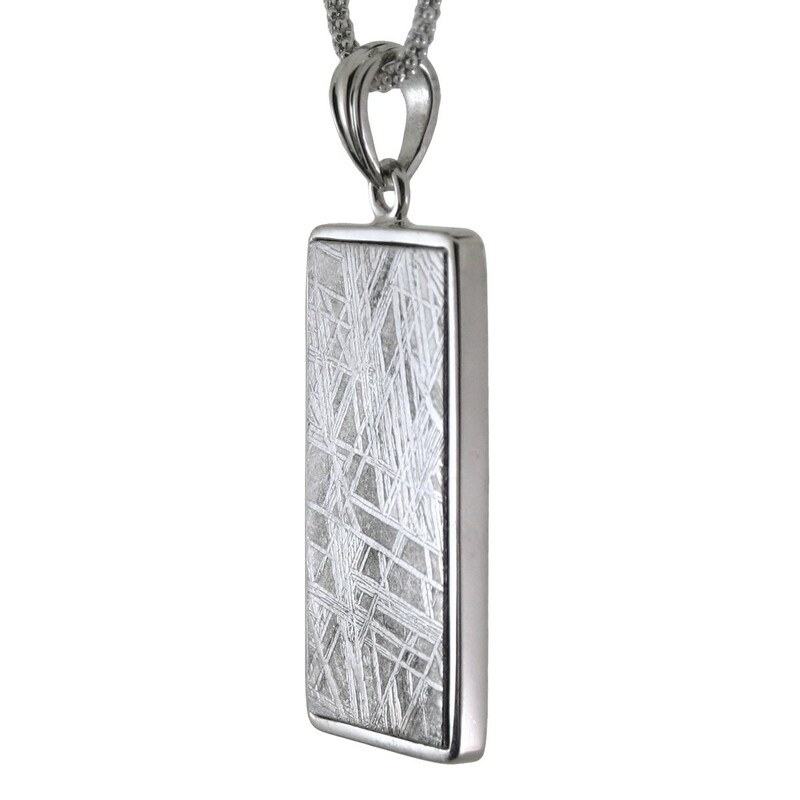 Our simple design pendant features a rectangular specimen of this famous meteorite suspended from a sterling silver cap and bail. 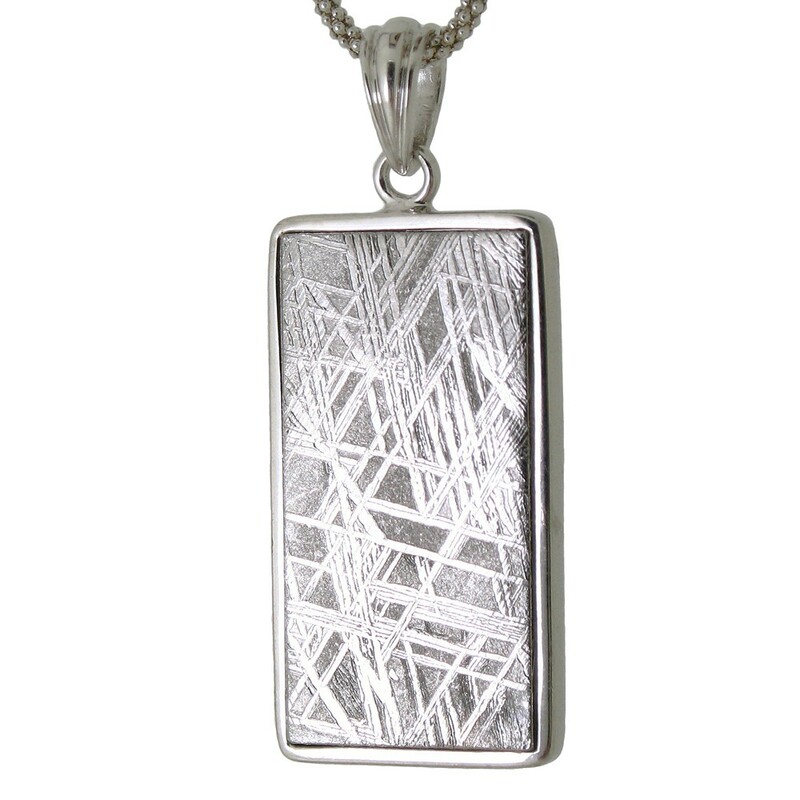 A great clean design, the Widmanstatten crystalized pattern of the nickel-iron meteorite is especially distinct in these pieces. 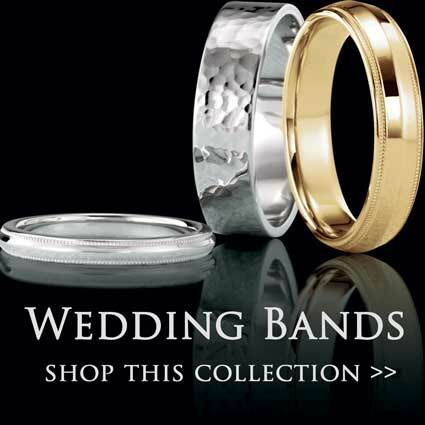 good for either a man or woman. 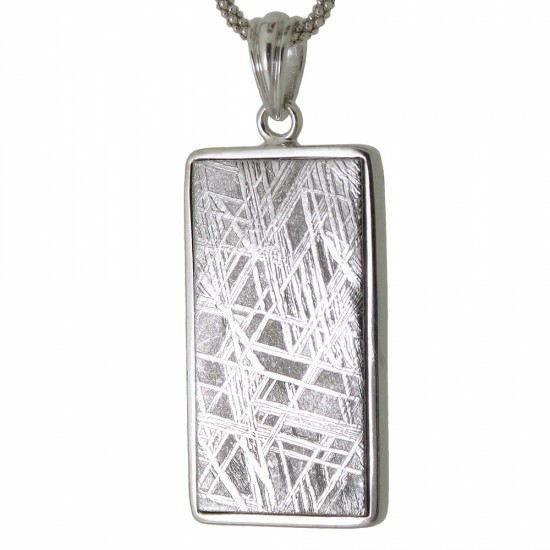 The pendant comes complete with your choice of necklace which includes a descriptive brochure about your "out of this world" meteorite.. 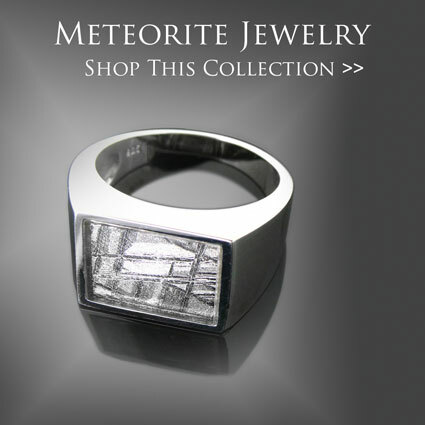 Learn more about this meteorite jewelry.